Among the several surrounding areas of Augusta is Columbia County, which was originally part of Richmond County (now incorporated Augusta). In 1790 when the Legislature established Columbia County (which included much of modern McDuffie County) from Richmond, it opened up the flood gates to prosperity in the tobacco and cotton industries. Starting in the mid–1950's, the southern most part of the county became a bedroom community to Richmond County. Now fifty years later with the availability of modern day utilities, a premier school system and a pleasant climate, it has experienced tremendous residential and commercial growth. Columbia County is predominantly residential and includes affordable land, a premier school system, a diversified job market, a highly skilled workforce and a stable county government. The average household income in Columbia County ranks third among Georgia’s 159 counties. In 1950 the population of Columbia County was approximately 9,525 to more than 105,000 in 2006. 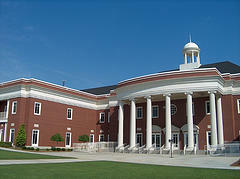 Rapid growth has transformed the county from a rural neighbor of Augusta to a major suburban county in the second largest metropolitan area in Georgia. With a low cost of living, high-quality health care and an average temperature of 64 degrees, it is easy to see why the area has experienced rapid growth. Among all of the luxuries that growth brings, Columbia County offers many outdoor activities whether it’s on Clark Hill Lake, on the Savannah River or in one of the eight parks that call Columbia County home. All of the parks offer open spaces to walk and or have a picnic, but some offer horseback riding, Jet ski rental, Camping, Swimming, Tennis courts, Football Fields, Baseball Fields, Soccer Fields and a great recreation department where children of all ages can sign up for any sport that they would like to play. The Augusta Museum of History is a model in the history museum profession and a source of community pride. It serves as the steward of the community?s material past and as a reference point for the future.